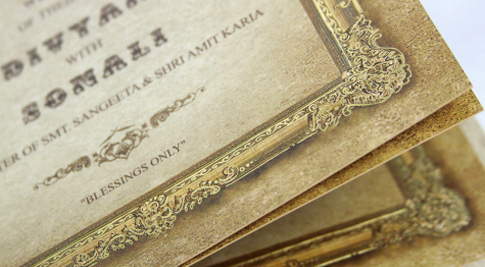 We at JAK feel privileged to be a part of new beginnings and happy occasions in our esteemed clients’ lives. 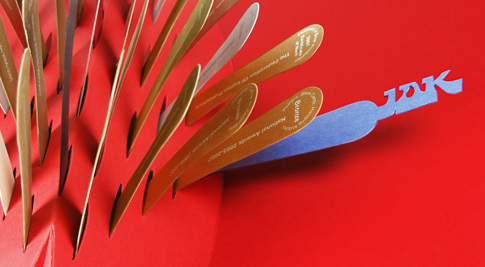 We look forward to creating masterpieces as Wedding Cards that people remember for a long long time to come. Efforts are made by JAK to uniquely bring out the values and culture of the families uniting in matrimony. 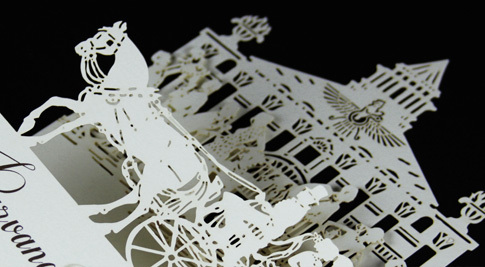 JAK makes use of all the available techniques to print simple as well as intricate cards. Each card is uniquely printed meeting the requirements of the couple. 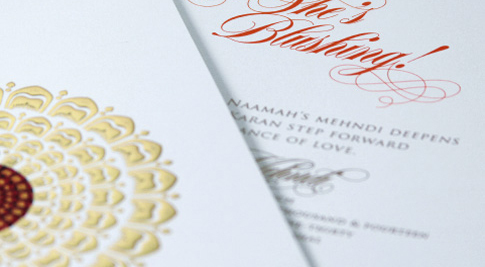 The then magnificently printed wedding card plays a significant role in the entire wedding planning as its distribution sets the ball rolling. 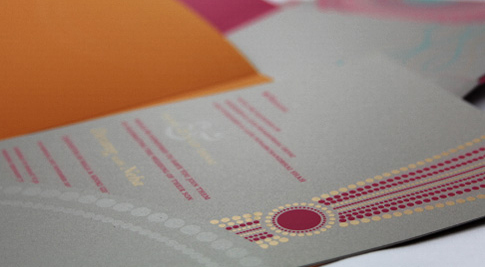 Special occasions need special invitation cards. 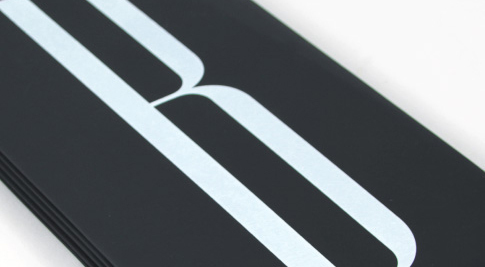 JAK always rises to this occasion and pleasantly surprises its clients with a product different from any other ever created.